This delicate small fern is not common in the Esperance region, only occurring under sheltered overhanging rocks, usually with gentle seepage to keep it cool and moist. 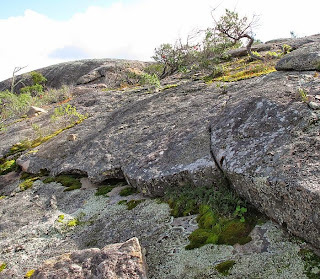 It is however more established in the less climatically severe southwest of WA. 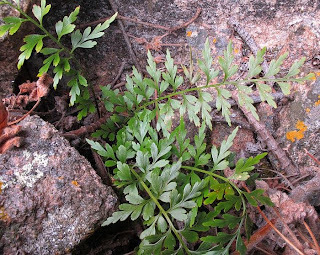 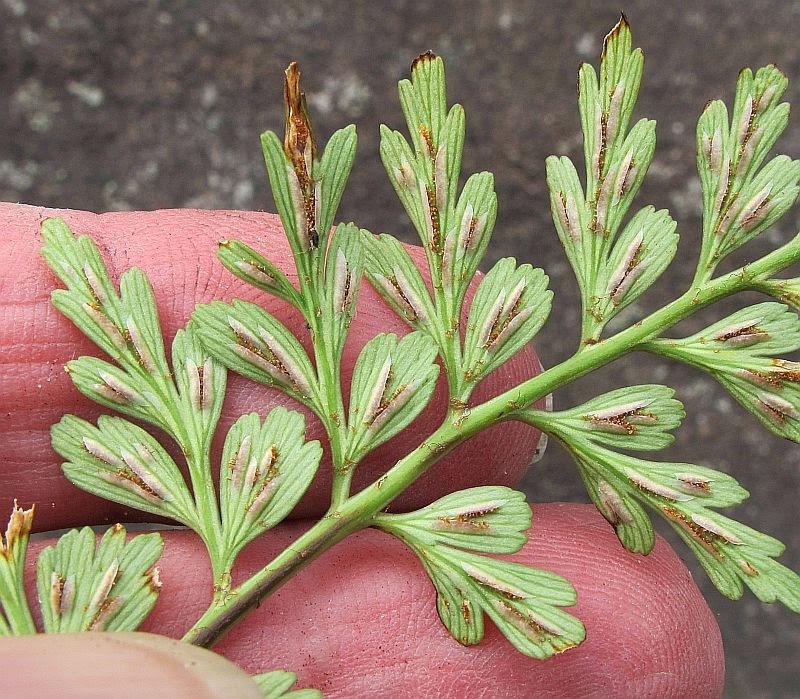 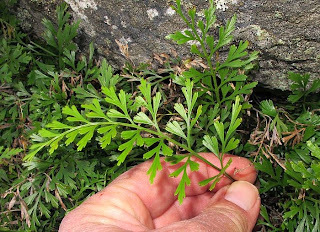 There is a similar plant called Asplenium praemorsum in South Africa of which A. aethiopicum was once lumped, but after reclassification its past is remembered by the new name of A. aethiopicum, which was used as a general term for Africa (Ethiopia). 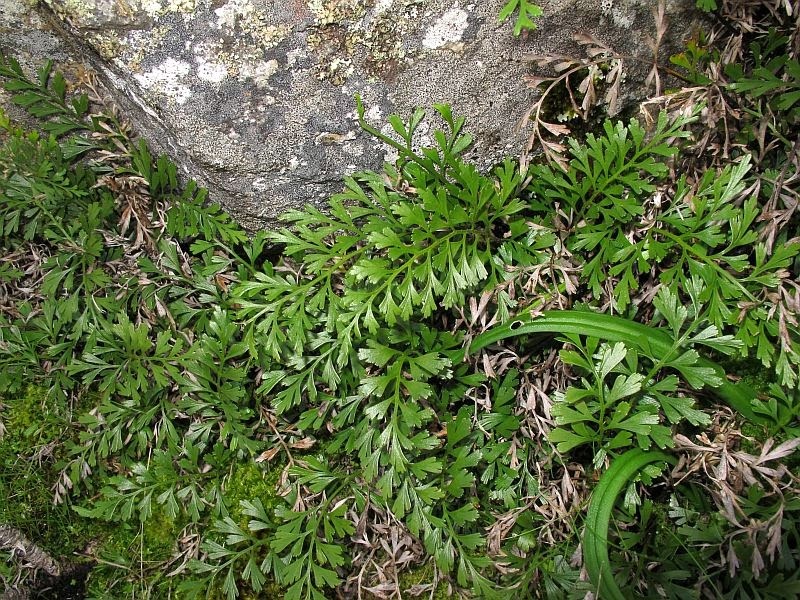 Besides WA, Asplenium aethiopicum is lightly scattered in southern Queensland, NSW and Victoria. 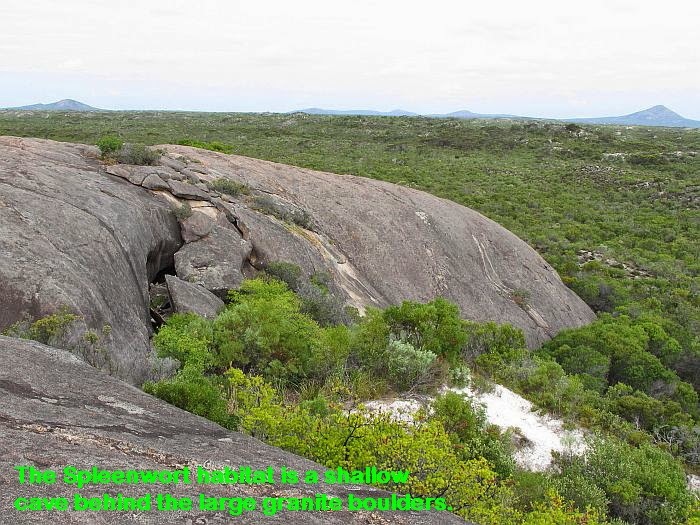 Locally I only know it from a few small near coastal colonies that are either in shaded moist caves, or under large southerly facing granite slabs (both shown above). 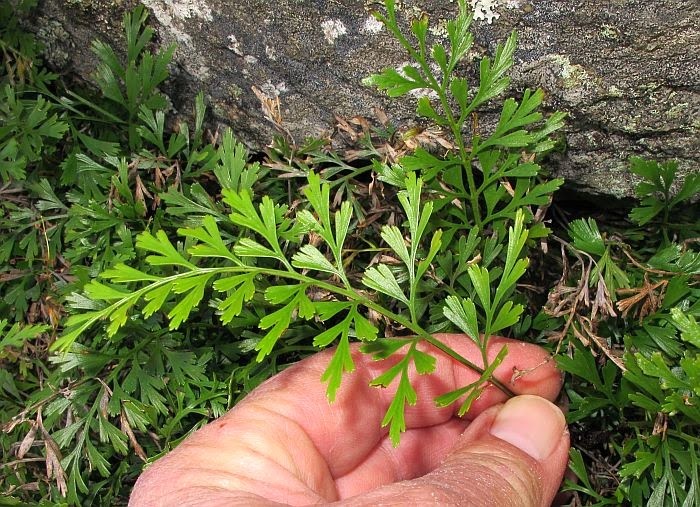 The fronds in the most sheltered areas can be a little over 30 cm (12”) in length, although are often less than half that size in more exposed habitats. Asplenium ferns have an indusium, which in this case is a long scale-like structure that partially cover and protect the clusters of sori (small circular fruiting bodies) that contain the spores. 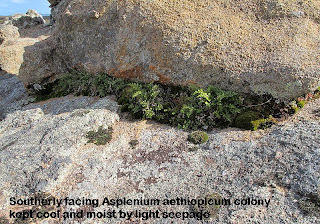 With Asplenium, the sori and indusium are arranged along the fronds central veins (not on or around the edge) and with Asplenium aethiopicum, the opening of the indusium faces away from the nearest edge and are commonly paired. 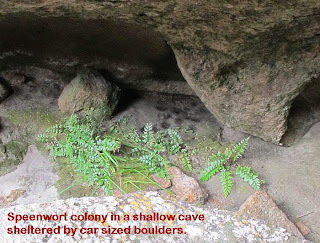 The Forked Spleenwort within its limited habitat, mainly spread via rhizomes with spores mostly seeking suitable environments further afield, being a perennial, colonies can persist for many years. 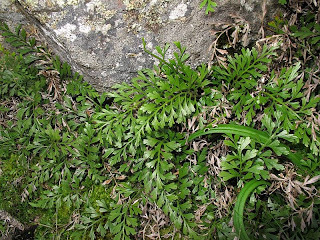 Asplenium is from the Aspleniaceae family, although in some references may be listed under Polypodiaceae.